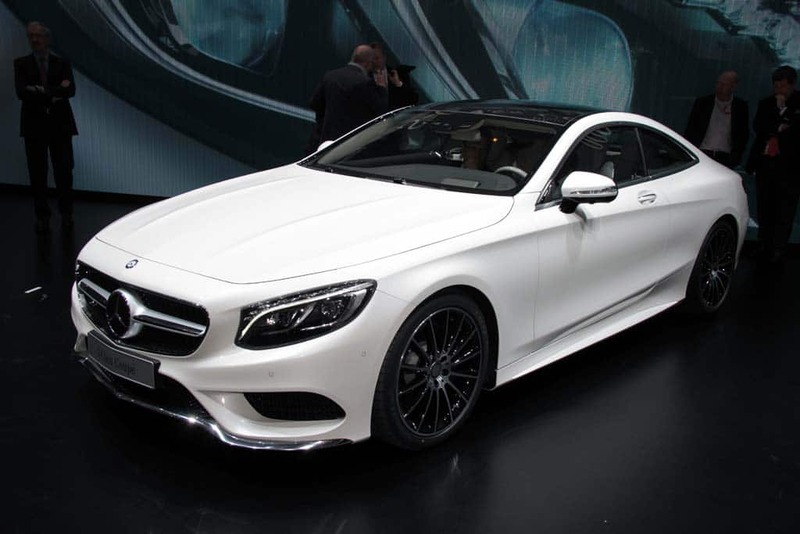 Mercedes-Benz went on record with its prices for the 2015 S-class coupe on Wednesday. The S550 4Matic will start at $120,425, including destination. The S63 AMG 4Matic comes in at $161,825 and the rear-wheel-drive range topper, the V12-powered S65 AMG, will set you back $231,825 when it hits our shores in December. The S550 gets a twin-turbocharged 4.7-liter V8 making 449 hp and 516 lb-ft of torque. That’ll get the heavyweight to 62 mph in 4.8 seconds. In non-AMG models, power is channeled through a nine-speed automatic. The S550 and S63 are only available with Merc’s 4Matic all-wheel-drive system. The S-class and S-class coupe are, as usual, loaded with tech, including more than 30 standard and optional safety features. The optional Driver Assistance Package puts many of the good ones together. It adds Distronic Plus with Steering Assist, which is a radar-based cruise-control system that can follow the car in front and stay within the lines of the road; Pre-Safe Brake, which can automatically stop the vehicle at up to 31 mph to prevent an accident; Pre-Safe Plus, which senses rear collisions and works to mitigate the damage; and BAS Plus with Cross Traffic Assist, which reads cross traffic with cameras. The package also comes with Active Lane Keeping Assist, which uses brakes to keep a driver in the lane, and Active Blind Spot Protection. As for competition, the Rolls-Royce Wraith starts at about $285,000, which makes even the S65 look like a deal. The BMW 750Li xDrive costs $94,950 and 760Li comes in at $142,150. The Audi A8 W12 starts at $135,900.